Home to Texas State University, San Marcos is a natural wonder with a plethora of outdoor activities and home to the largest outlet shopping center in the country. 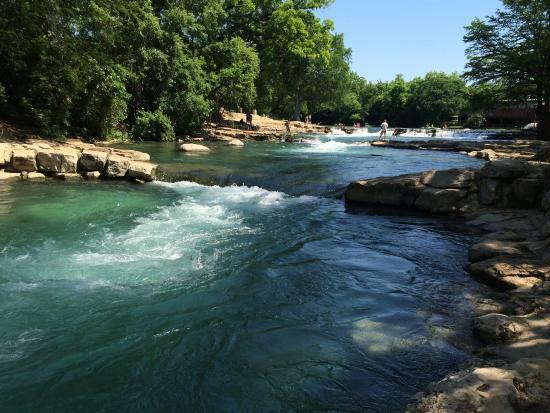 The San Marcos River is enjoyed year-round. Making it easy to engage in aquatic activities such as kayaking, paddle boarding and snorkeling. 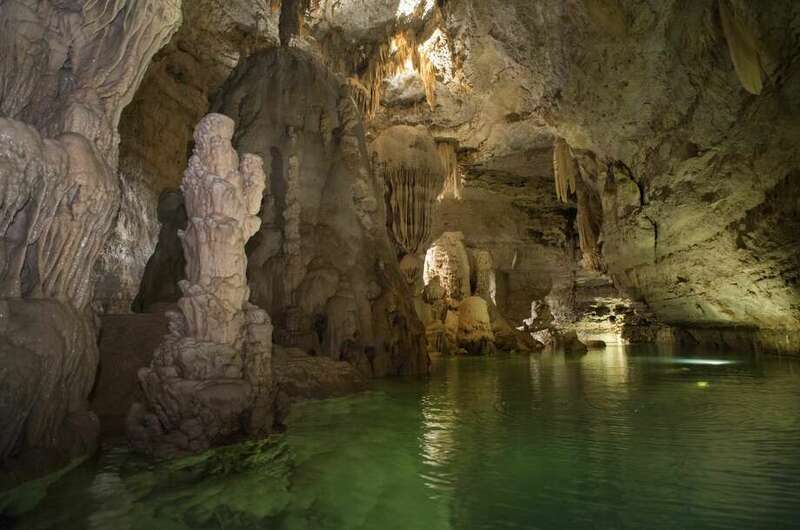 You would prefer to go gem and fossil mining all while learning about natural rock formations at Natural Bridge Caverns. Whether you are zip-lining high above or trying to tackle the outdoor maze, the cavern provides a once in a lifetime experience. Engage in furthermore outdoor activities at Rio Vista Park, apart from paddling upstream in your kayak you can take advantage of its deep watering hole, a perfect place for a relaxing summer day swim. Additionally, you can explore the “crown jewel” of San Marcos; Rio Vista Falls Dam. The 13-acre oasis is a perfect place to cool off during the scorching Texas heat. In recreational shopping at the nation’s largest outlet shopping center! You’ll have access to over 200 designer and name brand stores spread out over 1.2 million square feet. With discounts up to 65% off, this is sure to be a shopper’s paradise! San Marcos offers plenty of ways for you and your family to enjoy a weekend getaway! You’ll be amazed at the wonders this Texan town offers.